Get a Free Tree in Seven Fun Steps! 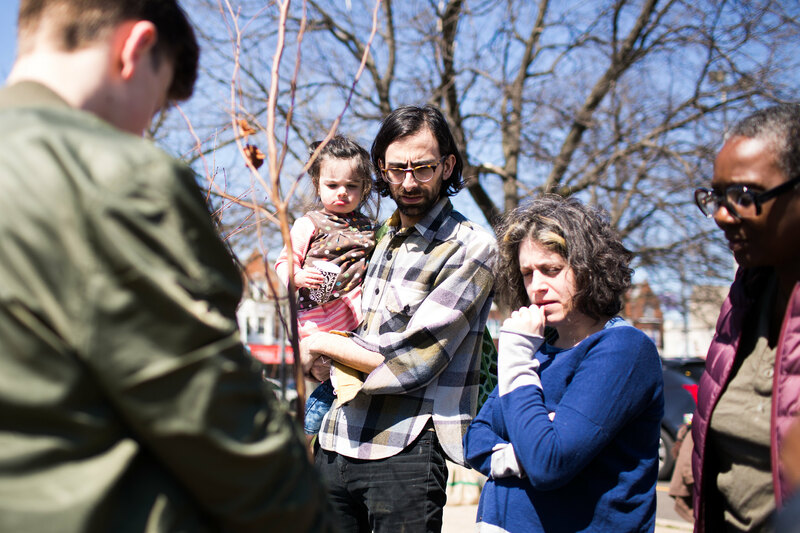 Since 2011, TreePhilly has connected communities across Philadelphia with over 21,500 trees. 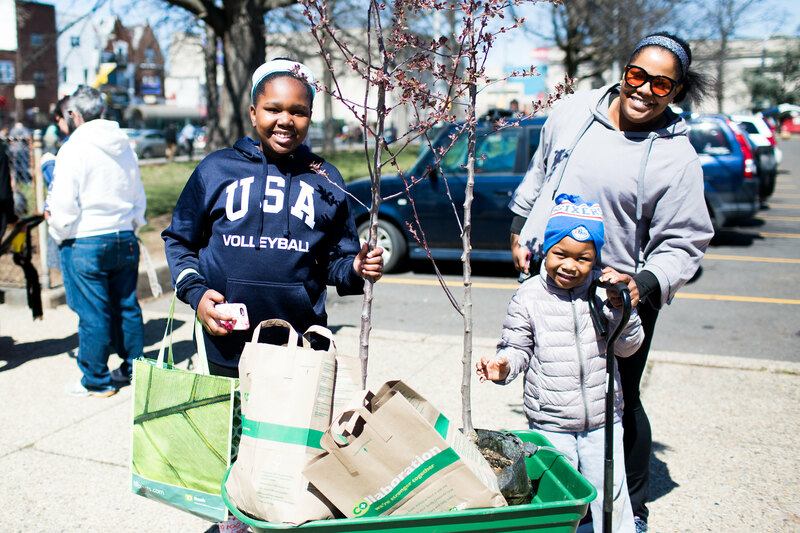 Our mission is to help people plant trees in ALL neighborhoods across Philadelphia. Yards and citizens like you help us grow our urban forest! 1. Pick a Season: We give out free trees at community giveaways in Spring (April to May) and Fall (October to November). This is the best time for planting trees. 2. Inspect Your Yard: Is your yard in the City of Philadelphia? Is your planting area on private property (not in the sidewalk or right-of-way)? If you do not have a yard, check out our other options to get involved. * If you are looking for a tree for your sidewalk call the Street Tree Management Office at 215 685 4363 (Open: 7:30am to 3:00pm, Monday to Friday). 3. Find the Community Giveaway Event Near You: Check out our list of events. Find the event in your community. Then, contact the community partner by phone or email to register. 4. 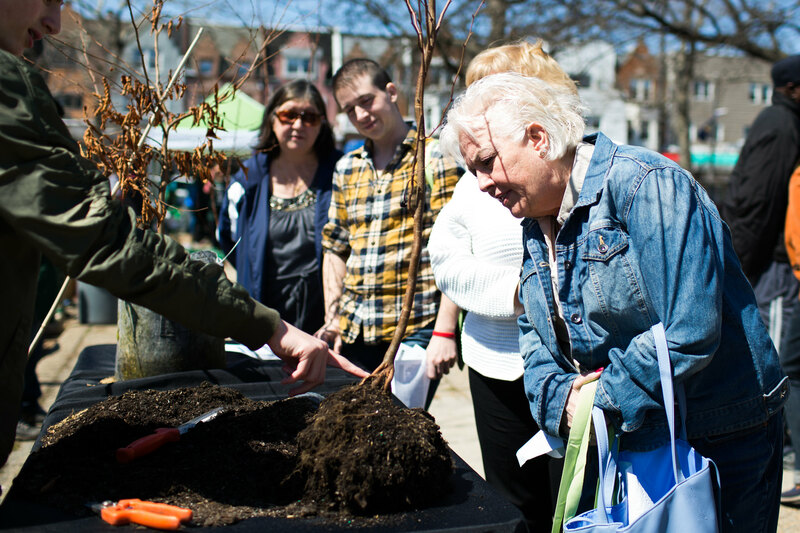 Find Your Match: Ask the community partner what trees are available at their event. Use our chart to find the tree species that works for your space. Ask yourself, does my yard get sun or shade? Can my yard use a big or small tree? Is it wet or dry? 5. Pick Up Your Tree: Go to the event! Meet your neighbors and get connected. Volunteers will be there to help you load up your tree. Use your towel, trash bag, or tarp to protect your transportation. If you have limited mobility and are not able to pick up or plant your tree, apply to have your tree delivered and planted by an arborist HERE! 6. Plant Your Tree: Plant your tree on your private-property within ONE WEEK. Trees will not survive through the hot, hot summer or the cold, cold winter in the bag without a lot of care. Plant as soon as possible to make sure your tree lives! 7. Join Our Family! Stay connected. Follow us @TreePhilly on Facebook, Twitter, or Instagram to find out about future giveaways, events, and news. Reach out to our team by phone or email to ask questions about your tree or becoming a future community partner! So far I’ve received two trees two years ago and would like to get two more. Great! Check back in October to see if we will be giving away trees in your community! There are lots of ways to get trees for your block! It depends on what kind of trees you are looking for – street trees or yard trees. Please email us at treephilly@phila.gov with more info and we will point you in the right direction.